Who wouldn't resist for Korean beauty products? I know all of us were addicted to Korean drama, K-pop and of course, Korean make-ups. 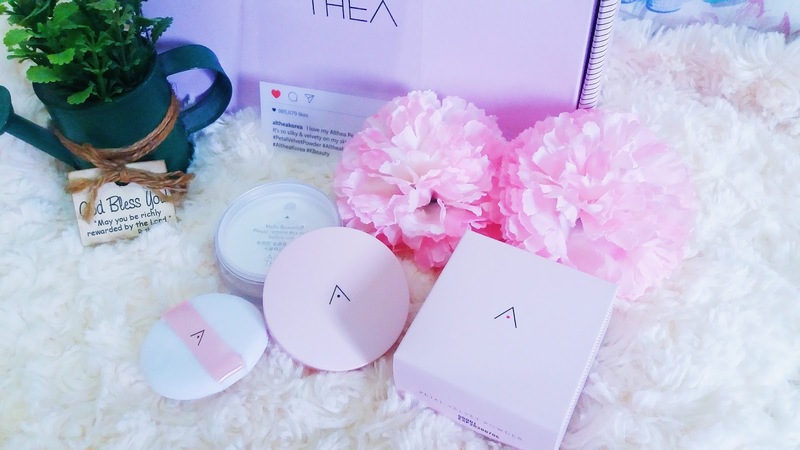 Althea's launched their own exclusive product. 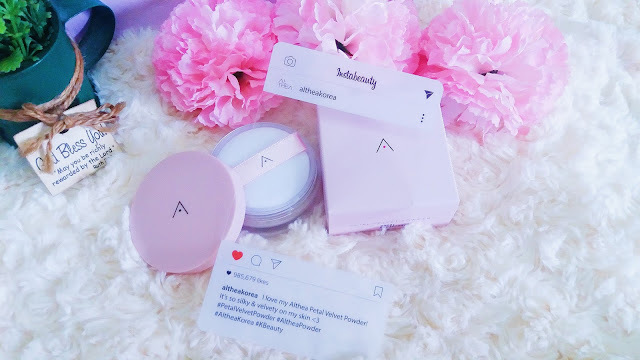 In this post, I will be sharing my unboxing, review and first impression about Althea's Petal Velvet Powder. 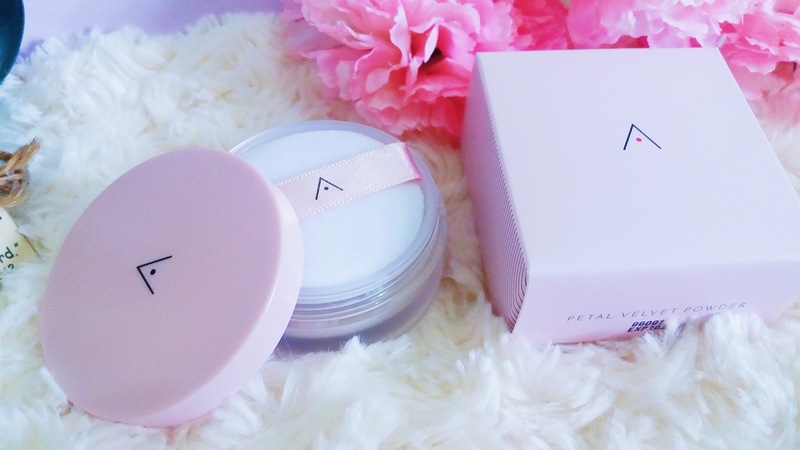 Althea Says: Althea's very own product range is here, and we're starting off strong with the Petal Velvet Powder! This debuting beauty is a translucent powder that sets makeup and leaves behind a silky finish to the touch. Infused with oil from Althea seeds, this powder works to keep sebum production at bay without drying out the skin for a radiant, fresh look, all while giving out a gentle scent. Keep your makeup looking great all day or dust some on to stay shine-free! Inspired by Korean petals, this petal velvet powder offers the skin a silky smooth finish. With a single touch, create velvety, flawless skin for a perfect complexion. 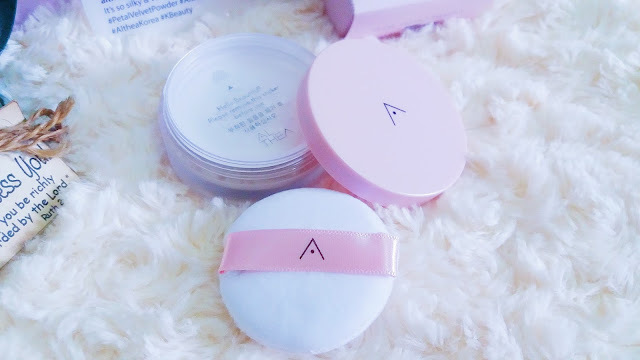 I was just surprised by the size, it is super cute and perfect for travel size, when you open, it has a lock with a hole so that the powder can occur once you shake it or turn it up and down. 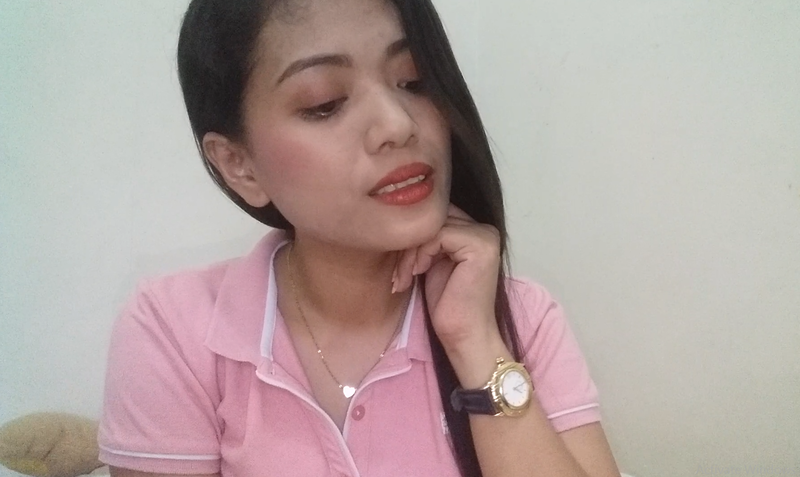 Since I am not a fan of brushes or using a brush to applied powder on my face. I was just happy that it has a puff and it's super cute, tiny and fluffy. It feel so smooth when you apply the powder itself. The consistency of the powder is really silky, smooth and velvety texture, It has a lovely mild scent and the powder is also made with pure, natural and cruelty-free ingredients. The 100% pure silica has excellent oil-absorbing properties for long lasting excess sebum control. Best to use it to set your makeup. How To Use: Pick up product with a brush or puff provided and gently sweep onto the skin. Althea's Petal Velvet Powder is made with micro-fine particles that minimize the appearance of pores and fine lines to reveal the flawless, petal-like complexion. Its translucent and perfecting qualities also create a satin finish that mattifies without dehydrating the skin. Here's the result after applying the Althea Petal Velvet Powder. No Filter, Just a natural lighting, and natural skin tone. Overall I really love the powder, it's silky, smooth and long-lasting, also it lessens my oiliness on my T-Zone. It last 3-4 hours on my face without re-applying my makeup. It also has revitalize flower seed extract and full of antioxidants that protect the skin's barrier from hydration and keeps your skin smooth and beautiful complexion. Available at Althea Korea only. Have you ever tried the Althea Petal Velvet Powder? What do you think about it? Would you like to try it? Leave a comment below. What is the best type of foundation for Oily Skin?